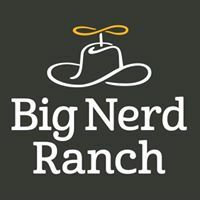 Get your Kotlin training from a Certified JetBrains partner, Big Nerd Ranch. Students will walk away with the confidence they need to leverage Kotlin to create cleaner code + Upon completion, students will earn a Big Nerd Ranch Graduate Certification in Kotlin Fundamentals. Understand writable & read-only properties and take a look at Kotlin’s type system. Use the functional programming features of Kotlin to clean up code, including map, flatMap, filter, and reduce, as well as how to define your own functional operators and higher order functions. Understand extension functions to safely add behavior to classes you don't control. Learn how to interoperate with Java classes and supports Java compatibility.